The world is changing at a rapid rate. Culturally, economically and politically – the world is barely recognizable to the time when many current advisors entered the business. Every industry is being forced to transform the way it operates, but, as a group who plays such a fundamental role in the prosperity and financial wellness of its clients, advisors face a pressure to evolve that is hard to match. Being able to effectively defend fee structures will be a crucial skill to develop going forward. All too often Bowman sees advisors having the wrong types of conversations when it comes to fees. Many people in the industry are getting lost in the passive versus active debate, when they should be concentrating on long-term solutions and meeting client objectives, Bowman explains. Attracting the next generation of clients is also going to become increasingly important for advisors. Bowman believes that millennials are more discerning and questioning than previous generations and, as a result, advisors need to put more “sweat equity” into building relationships with younger people earlier. 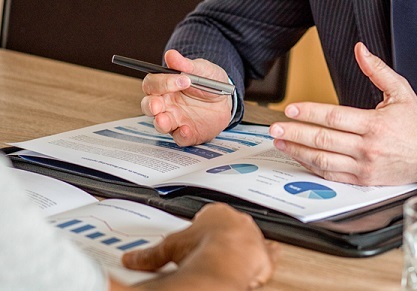 Advisors should speak to younger clients - or prospects - about the challenges associated with market cycles and unexpected events and how each of those situations raises tough and important questions.